move & groove is a wellness initiative that seeks to build community through events focusing on music, movement and mindfulness practices. Move & Groove: Jazz & Yoga ​is our premier event which features vinyasa yoga and live music. 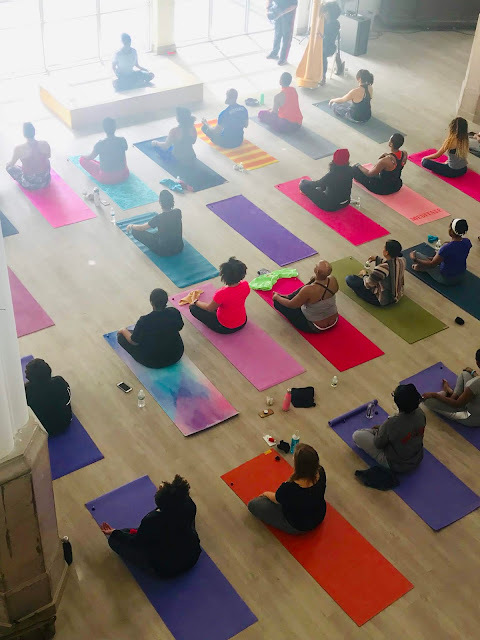 Partnering with the National Jazz Museum in Harlem since 2016, this monthly open-level class pairs Vinyasa Flow yoga with live accompaniment by a rotation of live musicians. Move & Groove: Jazz & Yoga originated as a donation-based class that welcomes new visitors to the museum and supports local musicians. It has been widely received as a ‘Hug for Harlem’ as varied community members have developed a yoga practice while supporting the Museum. It has been an hour and a half of respite for very busy New Yorkers who need a space to rest and restore. We are in the process of expanding to event spaces that can accommodate our growing following and the fanbase of well-known musicians. 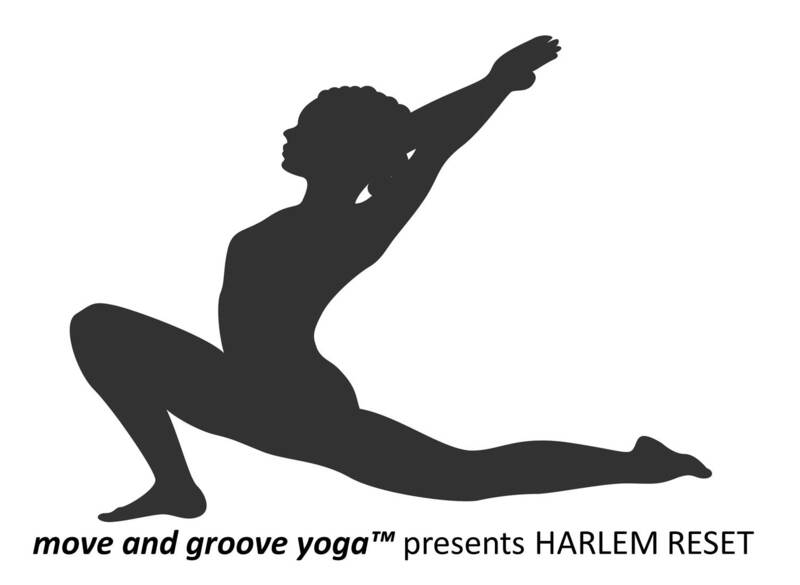 In addition to monthly event with the Museum, move and groove yoga has been featured in the New York Times and has partnered with ThriveMindfulness project to bring you Reflect + Renew on Martha's Vineyard. Latressa Fulton, MPH has been practicing yoga since the early 2000s and is passionate about bringing unique experiences to community spaces. She is a social engagement consultant and wellness practioner with a community focus. The success of the previous volunteer experience and organizing has earned her the BirchBox Future Stars Now Fund Award. Courtney Liddell is a 200 hour certified yoga teacher and a sound healer. She began teaching in 2014, with a mission to share the benefits of yoga with a more diverse population. 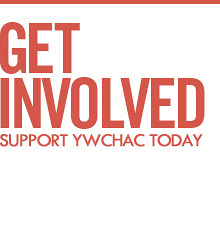 Her goal is to help people develop a yoga practice regardless of age, income, ethnicity, or body type. 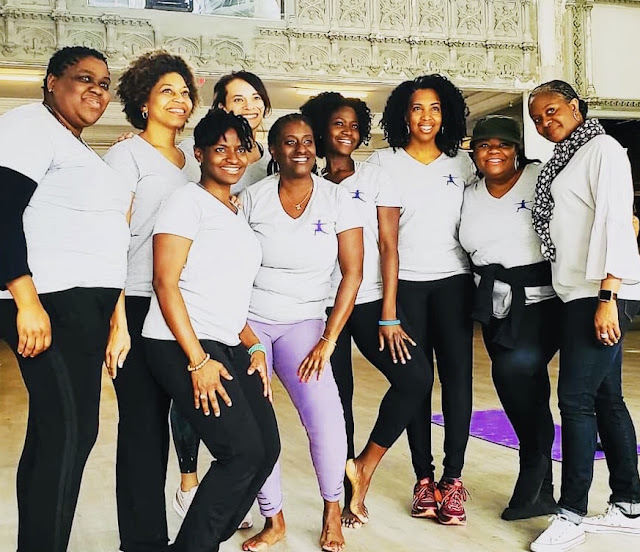 Her teaching experience includes the Harlem YMCA, Family Yoga at the Bronx Settlement Community Center and GrassROOTS Community Foundation in New Jersey.